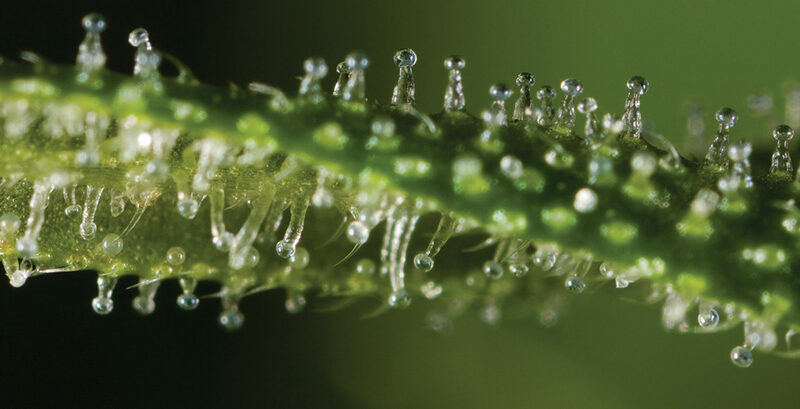 When it comes to cannabinoids, many people are familiar with the two most commonly known molecules, THC and CBD (and their respective variants). What many people don’t know however is that these molecules have many counterparts within the hemp and cannabis plant genealogy. There are currently a minimum of 113 known cannabinoids that have been identified through research and independent studies. Research has revealed that the human endocannabinoid system (ECS) regulates homeostasis within the human body and these plant based molecules (phyto-cannabinoids) interact with the ECS and endogenous cannabinoids to deliver the myriad health benefits that have been reported by users and confirmed in numerous studies. Below you will find a brief summary of 3 cannabinoids getting more attention recently for their potential holistic properties and health benefits. Cannabinol, or CBN may sound very similar to it’s relative Cannabidiol (CBD) but CBN displays its own unique array of medical benefits and effects that have researchers anxious to continue investigating this molecule. One of CBN’s most interesting and noteworthy attributes is the sedative effect it has on users. According to a study by Steep Hill Labs, 5mg of CBN is as effective as a 10mg dose of the pharmaceutical sedative diazepam. CBN does not induce a psychoactive effect and has shown no negative side effects. Cannabichromene is another lesser known cannabinoid that has some amazing potential medical benefits for users. Recent studies have suggested that CBC may contribute to the overall analgesic effects of medical cannabis. CBC has been found to interact with many receptors in the brain. While it is common for most cannabinoids to interact with the CB1 and CB2 receptors, CBD interacts with other receptors as well. CBC in particular is known to interact with the TRPV1 and TRPA1 receptors as well, which may result in some of its medicinal properties. CBG is a cannabinoid that is known as the building block for many compounds in cannabis, including THC and CBD. CBG is non-psychoactive and can be thought of as the “stem cell” or “parent” of other cannabinoids. However, CBG is not found in high concentrations in most strains. Certain strains of hemp may have higher CBG content. CBG can also affect the body by increasing anandamide levels. Anandamide is a naturally-occurring cannabinoid that helps regulate many biological functions, including appetite, sleep and memory. The effect of CBG on GABA (gamma aminobutyric acid – a brain chemical that regulates the activity of neurons) uptake was found to be greater than both THC and CBD in one study. It’s important to note that much of the evidence comes from pre-clinical studies, meaning that the safety and efficacy of most cannabinoids has yet to be proven in humans. That being said, studies on CBN, CBC and CBG have revealed a wide range of possible benefits. HealthSmart CBD offers full-spectrum hemp oil CBD products that include all three of the amazing cannabinoids and a more comprehensive array of medical cannabinoids than you can find anywhere in any other product.